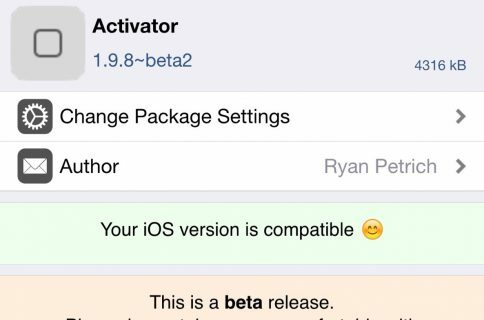 If you’re looking to try some of the available jailbreak tweaks for iOS 8, chances are you’ll need Activator to support them. 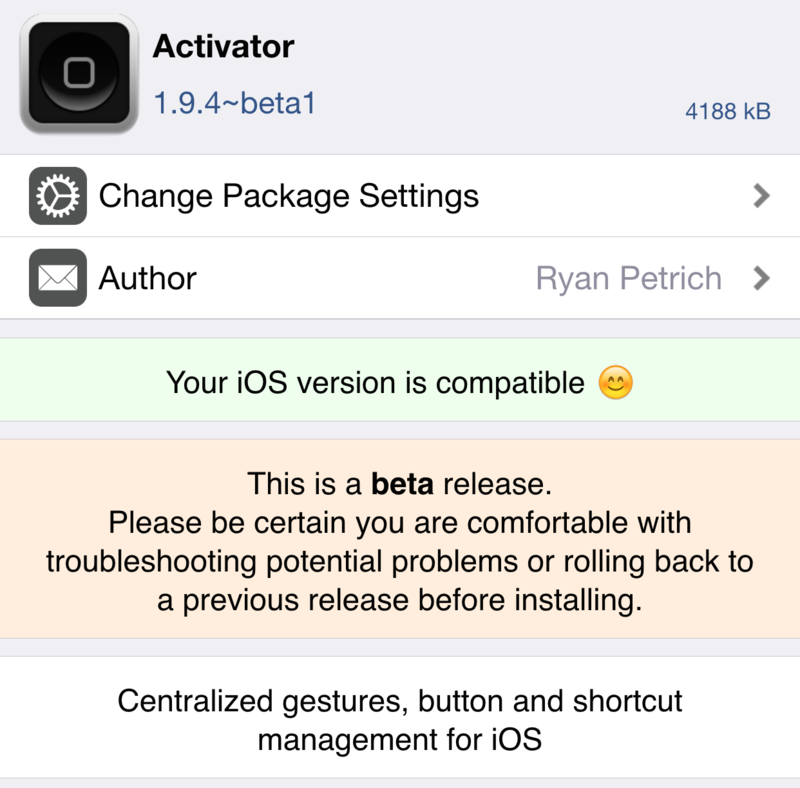 Since the current public version of Activator doesn’t yet play nice with iOS 8.4, Ryan Petrich has graciously released a beta version on his beta repo. 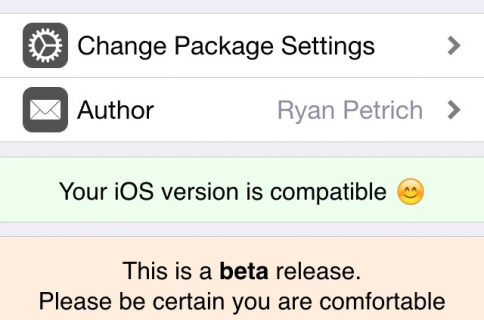 Be sure to grab this Activator update to ensure better compatibility with all of your favorite jailbreak tweaks. It’s not much, but iOS 8.4 support is more than enough to satisfy me. What say you?